Stunning 25.5cm tall two-tone crystal glass awards featuring a clear glass and a Marine Blue upright, both in stylish wave designs, set on a bevelled rectangular base. Offered with engraving and/or colour print options. Beautiful from every angle, these eye-catching awards feature a clear glass upright with a curved top reaching up to a peak, and a smaller plaque in front of it with a matching curved top. 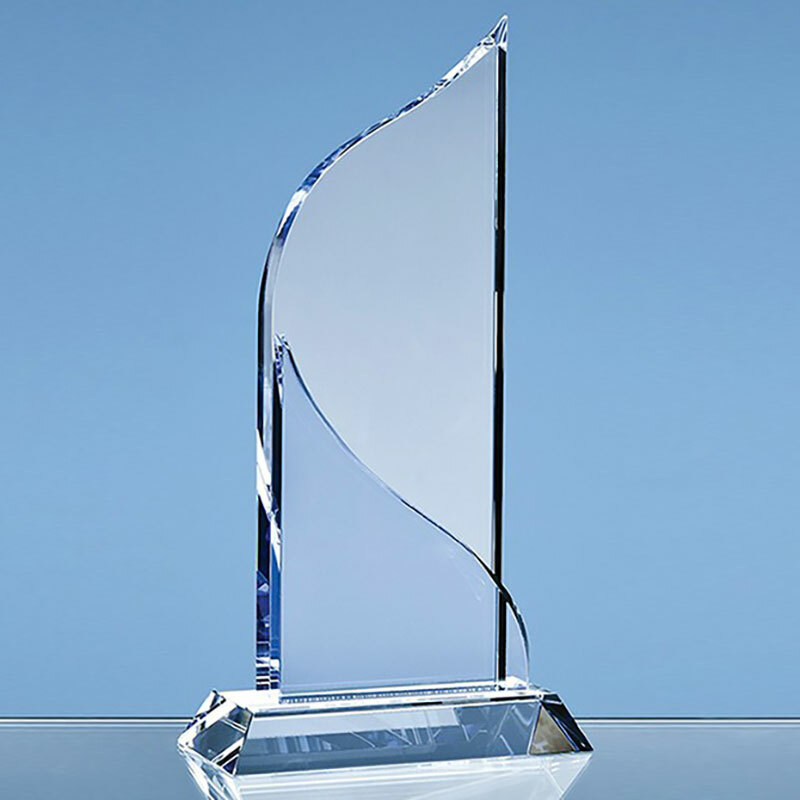 The upright at the front is crafted from Marine Blue crystal, creating a two-tone effect to this stunning award. It is set on a rectangular clear glass base with bevelled edges. Standing 25.5cm tall, these graceful awards are suitable to reward or recognise a broad range of activities and achievements, from sports trophies to commemorative items to corporate awards. They can be customised on the flat front of the largest upright and are offered here with engraving and/or colour print options. Each Grand Bleu crystal award is supplied in a black foam-lined presentation box.